B2B companies need good marketing and advertising services. Video content is the best way to reach the targeted customers across the web. But, it requires good strategy and strategic implementation. 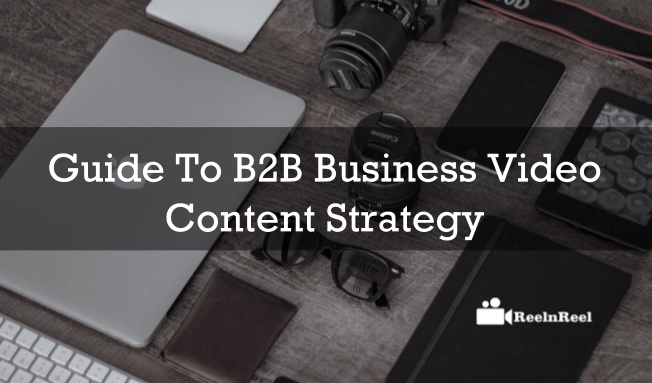 Here is the best guide to the B2B business video content strategy. Plan your video content strategy basing on your business requirements and targets. The business video strategy must have a clear goal or objective. That means your content must target the present market. Point out each and every strategy basing on your objective and note it clearly to execute. After planning your strategy, you need the best place to implement your strategy accordingly with your plan. So choose the right distribution channel where your customers are available. You can choose YouTube, Facebook and many other channels where your audience are connected with. Don’t push the people to watch your content. Just encourage them by making your content more interesting and engaging to the audience. Don’t over promote your B2B Company for your own promotion. Approach the audience with special featured content which can raise interest in the audience minds. Always stay connected with the audience like by responding their comments in a positive way and ask them for suggestions on your videos etc which made them get connected with your content. The majority of the customers purchase products after going through the product demo videos. So create good demo videos for your customers and let them know about your product in detail. Plan for better optimization of the videos as your video rankings definitely reflects on your overall performance across the web. Plan your B2B business strategy by targeting the local audience as the location-based targeting which helps you to reach the business. Live video has become the trending buzz across the web. So, prepare yourself to start live video for your product demo or unboxing of your new products. Plan good display video ads which can maximize your business reach at low rates. Plan your strategy accordingly to deliver the brand message within the ads. Unlike cross-platform advertising and embedding of the video content, it is better to plan a native video advertising strategy. Native video helps the business to get good identity across the social platforms. So upload the content directly to the specific platform which can boost the engagement level. Publish content that is relevant to your company’s products and service offer. Don’t grab the customers with the fake titles and fake content which is irrelevant to your company may lead to bad impact. Plan good social media plan for the promotion B2B business. Don’t go for multiple platforms at a time if you are a startup company. Focus on a single platform and gain good popularity with best video content that is interactive to the audience. User Generated Content is the most valuable content for the businesses as it can drive better engagement with the targeted audience. try to create instructions, how to, demo, review, unboxing and promotional video content to your audience. Plan smartly with YouTube video ads capability of delivering your message to your audience and choose your ad type smartly which must fit on your requirements and targets. Finally, follow all these simple ideas to boost your B2B Video marketing strategy.